The rugged outdoorsman isn't hard to shop for after all with the hearty assortment of outdoor-theme masculine gifts in our Man Gear collection. 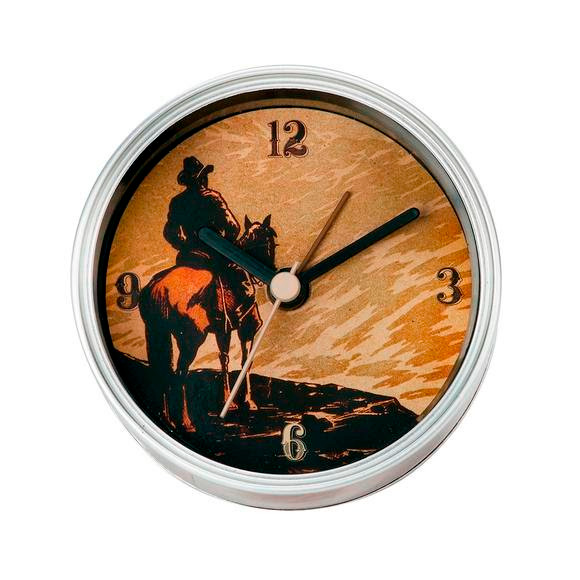 Our novelty Clock-n-Can makes a great desktop gift, with multiple designs to suit his favorite pastime. Simply pop the can lid to reveal the themed clock face. The rugged outdoorsman isn&apos;t hard to shop for after all with the hearty assortment of outdoor-theme masculine gifts in our Man Gear collection. Our novelty Clock-n-Can makes a great desktop gift, with multiple designs to suit his favorite pastime. Simply pop the can lid to reveal the themed clock face. A kickstand makes it easy to prop the clock on a desk or bookshelf or it can hang on a file cabinet or other magnetic surface.